Our brown pure Kraft brown paper rolls are ideal for a wide range of applications, especially those needing medium to heavy duty wrapping. With an ultra smooth surface to provide a top quality look to your parcels or packaging, our brown packing paper is lightweight as well, cutting down your postage costs. Often used by publishers to line the inside cover spine of hardback books, environmentally friendly Kraft brown paper is also perfect for covering the outside of books or boxes, protecting them from scratches. 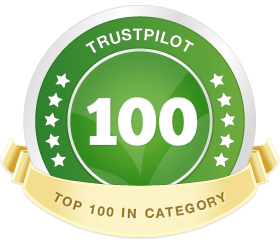 It is an excellent and durable brown packing paper that resists tearing and punctures. Versatile and tough, our kraft brown paper is the strongest protective wrapping paper thanks to its high burst strength. It is the natural choice for wrapping your parcels for posting, so it pays always to have some rolls to hand. 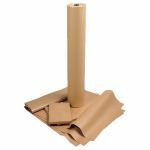 Supplied in 3 widths, 600mm, 750mm and 900mm, our Kraft paper rolls are great value at 240m in length and can be used with our paper dispenser. Don’t forget adhesive tape to seal your packages. You can easily stick labels or write with felt tip pens on the surface of our Kraft wrapping paper, and the back of the brown paper will take chalk or paints. This makes Kraft brown paper a perfect all-round material for schools and home crafts, whether used for art projects such as drawings and posters or for wrapping books. An excellent high performance wrapping paper, Kraft paper is biodegradable, reusable and recyclable, and its strength makes it ideal for medium and heavy duty wrapping applications.